Wiki Life – Cause for joy in the French community. Today is Wednesday day of our Wiki Life. He is special in the Community French. Life doesn't have to be so complicated when a community insists on making it simpler. So is the life of our Community Wiki. Because the people who compose it which you can accomplish wonderful things and help people in questions of Microsoft technologies. We now have two more MVPs in the French community. If you do not know what is the MVP, this acronym mean Most Valuable Professional and is awarded to the best professionals technologies Microsoft. Those people who have won the award in the French community, are great professionals and great technical knowledge and are dedicated to our community. Let's talk about the trajectory of them in the community. 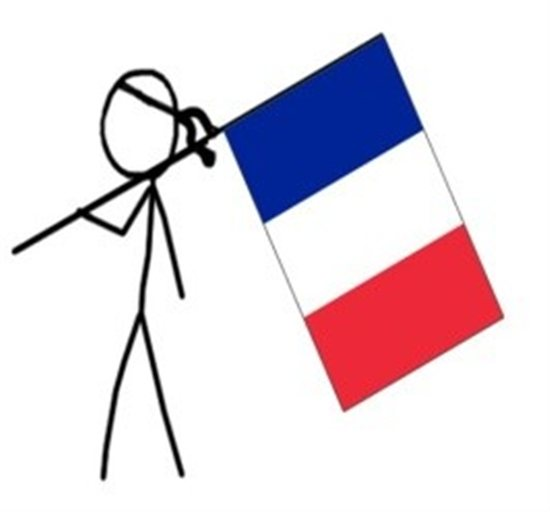 He is a member of the community since 13 May 2007, one of the oldest of the French community, known in the community as Yagmoth555, winner of the Microsoft Community Contributor-MCC, has 22,933 points, six gold medals, 10 silver and 23 bronze in your profile TECHNET/MSDN. IT's that work in the field and for managed service customers. Microsoft MCTS : Exchange 2007. Citrix XenDesktop CCA. Citrix XenApp CCA. Dell Equalogic Specialist. HP Accredited Platform Specialist. CompTIA A+. Lenovo/IBM Technician. Helper on TechNet Forum. Enthusiast Blogger. For hobby ? 10th generation Hung Gar's practionner. He is a member of the community since 2012, one of the major contributor of the French Community Microsoft Technical award-winning French Contributor, has 3716 points, 3 gold medals, 6 silver medals and 22 bronze. SharePoint expert in architecture, configuration and administration of the tool. I invite the community to congratulate these great professionals. Keep up the excellent work by the French community. Thanks Hezequias for this post ! Hello Benoît. You and the Yagmoth555 they deserve, did a great job in the French community. :). Congratulations. Congrats to Benoit and Philippe ! You are the pride of our Community. Well done, Philippe and Benoit! Congratulations. Congrats Ben and Phillipe and Thanks Hezequias for sharing !!! Congrats to Ben and Philippe! Well deserved for highlight! Benoit and Philippe, is this new for both of you? Congratulations! I’m proud to point out that they join the ranks of many Wiki Ninjas who became MVPs after they started contributing to TechNet Wiki… Luiz, Fernando, Tord, Tomoaki, Santosh, Margriet, Horizon Net, and Gokan! That puts us up to 10 Wiki Ninjas who have become MVPs! It’s great that TechNet Wiki can help in that process, whether it’s a little bit or a lot! @Hezequias thanks for the post ! @Benoit, oui, 3 sur 4, et je porte a croire que sa serait 4 sur 4 dans pas long!, tres bon profil Hezequias !! @Ed, yes, news !! and of course i’am pretty sure contribuing to the wiki maked a differance ! Benoit, in your case, maybe just a little bit, but we’ll take it! It’s great that the Wiki can help those who help the community!